Every Championship fixture is live on Sky Sports on Wednesday night. This is a big game for Gary Rowett, as he faces the side he left in the summer for the Potteries. He clearly thought he would have a better chance of promotion with Stoke but it hasn't quite worked out that way so far. Frank Lampard would have had a long time to dwell on that defeat to Aston Villa, so full credit to Derby for bouncing back with a victory right after the international break. I fancy them to have too much energy for Stoke. Highlights of the Sky Bet Championship game between Ipswich and West Brom. 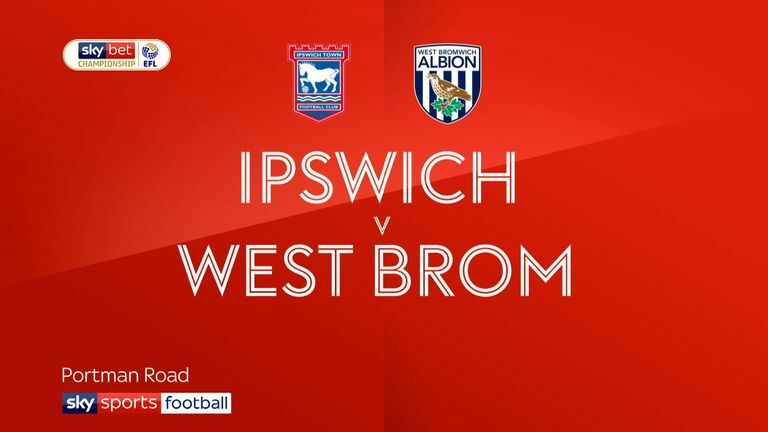 It was always going to be a tough ask for Ipswich to beat West Brom on Friday, but this is a big opportunity for Paul Lambert to claim his first win against a hopelessly out-of-form Bristol City. Lee Johnson has been here before. They have lost four in a row now and have really slumped away from the top six. I think this is the day Ipswich get their first home win of the season.